Supermarkets are set to cut the amount of plastic in store, with plastic straws and packaging on fruits and vegetables to be removed by the end of the year. Woolworths has announced that the 134 million straws in circulation each year will be pulled from the shelves. They have also said that some 140 tonnes of plastic packaging for fresh produce has already be cut. “In the last year we have seen a shift towards more sustainable attitudes from our customers and the momentum is growing, with recent research showing a 15 per cent increase in Australians now saying that taking care of the planet is important to them,” Woolworths group chief executive Brad Banducci said in a statement. Coles has made a similar pledge, announcing today that plastic wrapping on bananas and other fresh produce will be removed. Coles' changes will focus on removing food waste, landfill and packaging over the next four yeas. 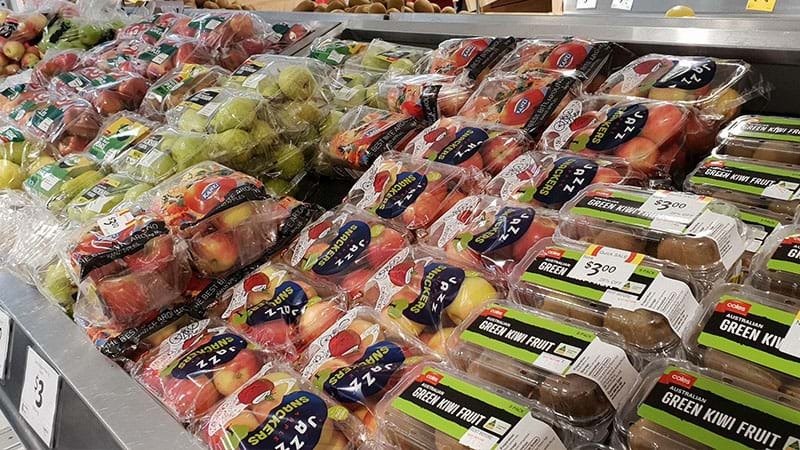 “We know that 69 per cent of customers say that we need to actively reduce waste and landfill through recyclable packaging and find alternative uses for waste,” Coles managing director John Durkan said in a statement. It is understood that 100 million meals will be donated through redistribution of food products, and all Coles-branded packaging will be recyclable by 2020. The nationwide phase-out of plastic bags will begin on June 20, and Woolies have announced a new green reusable bag with a 'lifetime replacement' offer.